Hives are strong and ready to go. 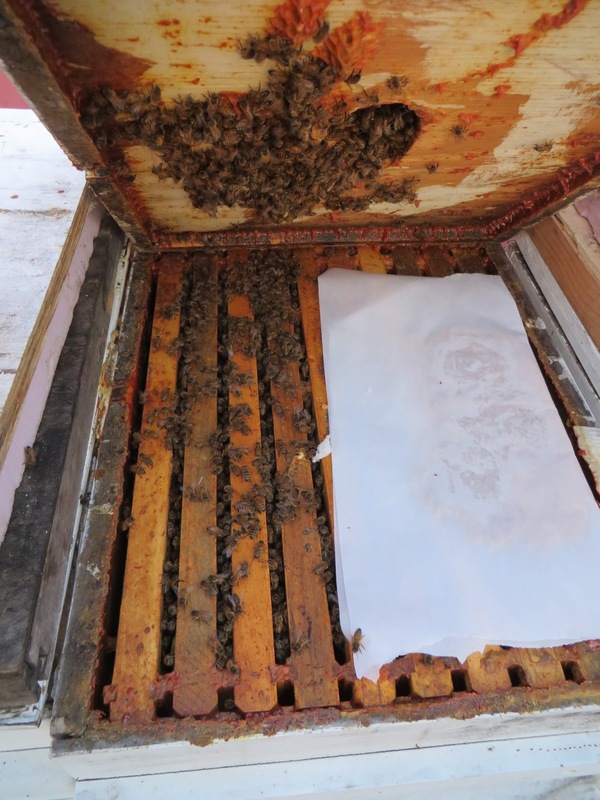 Strong hives in early Spring are both a delightful surprise and an incredible challenge. You have the promise of a wonderful honey crop, provided you can keep the bees in their boxes. Every Spring, I am reminded how close to the edge honey bees overwinter. At the start of the Maple flow, the honey bee cluster is usually pushing at the inner lid. I like to check their status at the first break in the weather. Last year's May splits and packages had around 4 honey frames left each. There was one exception - one hive had a full second brood box. Of course, I checkerboarded that one. I am also going to keep it in mind as a possible candidate for queen breeder. The splits that I made in July had at most 1 frame of honey left and were making the best of the candy boards that I put on in the Fall. I reversed the boxes on the rest of them, made sure each hive had at least 2 capped honey frames and plenty of candy board left and added fresh patties. I also swapped the weakest and the strongest hive positions in order to equalize the populations. I checked the hives and added pollen patties on 3/8/2016. The honey bee hives are looking great. The clusters are good and I have 9 out of 9 hives make it through the winter.